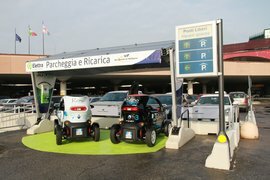 An innovative, eco-friendly and free service for customers using the airport car parks. 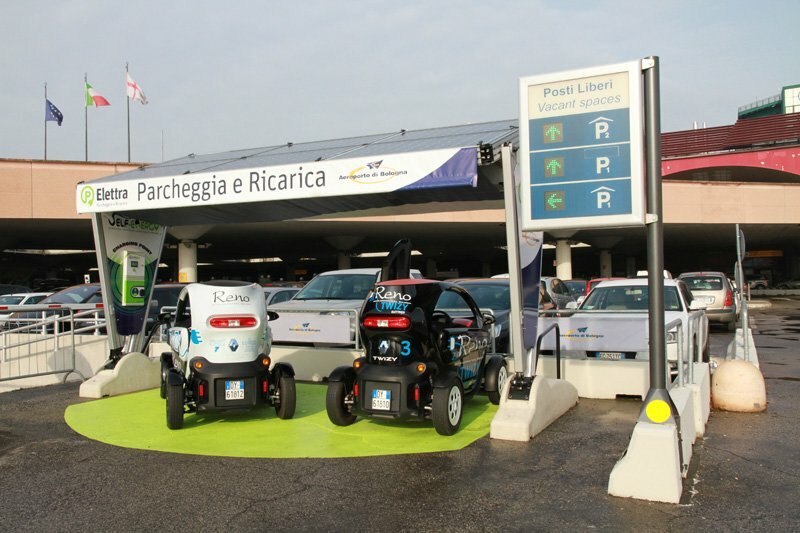 This new service, called “Elettra”, is provided with a solar-powered electric vehicle charging station. The charging station, located on the ground floor of P1 car park in front of the Terminal, is solar-powered and allows passengers to charge their cars while they are parked at the airport. The station supplies a maximum power of 4kW and is designed to ensure a 24-hour power supply, even in poor weather conditions and insufficient sunlight: if required, power is supplied from the local electrical grid. The service can be booked by sending an email to parcheggi@bologna-airport.itand is completely free for customers using the official Bologna Airport car parks.